As the Seattle Mariners keep winning games, their 41-24 record and view from the top of the American League West has forced them to contemplate their plans for Robinson Cano once the eight-time All-Star returns from the suspended list in August. The only apparent certainty: When Cano gets back on the field, it will not be as the team’s full-time second baseman. Cano received an 80-game suspension on May 15 for a violation of Major League Baseball’s joint drug agreement. He’s eligible to return Aug. 14 in Oakland, but is ineligible for the postseason under baseball rules. “We have a pretty good idea of what we want to do, but a lot of it is going to be dictated by where we are in the standings,” Dipoto told ESPN.com. “As versatile and athletic as Dee is, it’s not that easy to go play center field for a month and a half and then say, ‘Oh, by the way, you’re going to go play second base in the biggest game of your career when you just haven’t been out there.’ It’s going to take some juggling and we’ll have to figure out a way. Cano, in the fifth year of a 10-year, $240 million contract with Seattle, has been a lineup staple with the New York Yankees and the Mariners since 2007. He appeared in 1,744 of a possible 1,782 games over an 11-year stretch entering this season. But Cano’s experience outside second base is minimal. He has appeared in 1,995 career games at second and 48 at designated hitter, and he played one game at shortstop with New York in 2013. He has never played first base — another potential spot for him in August and September — at any point in his professional career. 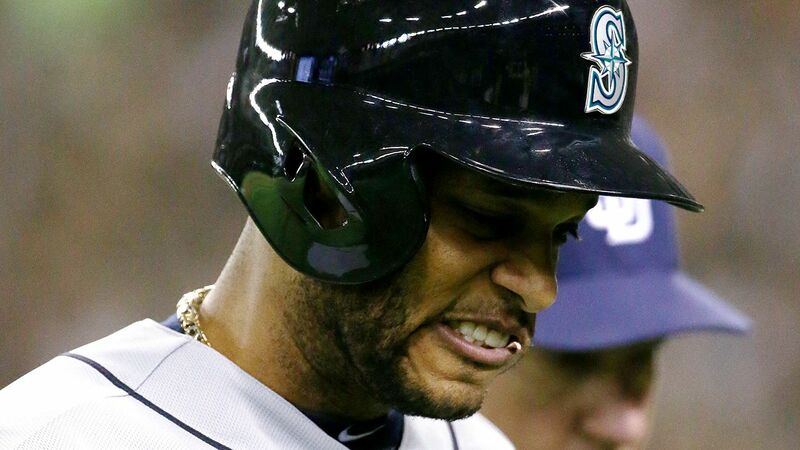 Cano lost more than $11 million in salary when he went on the suspended list. Rather than add a second baseman to fill the void, the Mariners recently used the savings to acquire outfielder Denard Span and reliever Alex Colome in a trade with the Tampa Bay Rays. Span’s arrival, coupled with Cano’s pending return after the All-Star break, could alter Dipoto’s approach at the July 31 non-waiver trade deadline and allow him to concentrate more on pitching. “The one thing we do know is, if we remain as competitive in the standings as we are now — and we think we will — we will have a chance to make perhaps the biggest acquisition of anybody at the deadline in picking up Robinson Cano,” Dipoto said. “Then we have to figure out how to balance all the pieces. The Mariners, winners of 17 of their last 22 games, begin a difficult stretch in the schedule Monday night against the Los Angeles Angels at Safeco Field. After a three-game series against the Angels, Seattle plays 10 straight games against the Boston Red Sox and New York Yankees.